The Honor 9 isn't perfect, but it is a great all-rounder that makes high-end performance and design more affordable than ever before. The Honor 9 is a fantastic affordable flagship with a beautiful design, fast performance and dependable all-day battery life. At this price point, the biggest thing you'll miss from more expensive handsets is a reliable low-light camera. Huawei's Honor brand has defined itself by its presence in the "affordable flagship" space — that £400 sweet spot where you can pick up a pretty good phone that also won't break the bank. As a sub-brand of Huawei, Honor's fortunes have mirrored in parallel with those of its parent company. The first round of Honor phones released in Europe was hamstrung by weird, broken software. Then in 2016, the Honor 8 gave us a glimpse of just how good an Honor phone with a bold new design and decent, stable software could be. This year's follow-up, the Honor 9, doesn't change all that much. That's not a bad thing at all — between some welcome refinements to the design, some subtle performance improvements and ramped up storage, the Honor 9 changes just enough to stay relevant. And with a price tag of £379.99 in the UK, it continues to lead the pack in terms of value. Sure, there are some compromises, as we'll detail in our full review below. But in the context of rising prices throughout the smartphone market, the fact that you can get this much phone for under £400 is truly impressive. We're publishing this review after a week using a sapphire blue, European-spec Honor 9 (STF-L09) with 6GB of RAM and 64GB of storage on the EE network in Manchester, UK, and while roaming on Telekom.de in Berlin, Germany. The phone was running firmware build STF-L09C432B100. Our review unit is a little different to the model that'll be sold in the UK, which comes with 4GB of RAM instead. Based on our experiences with similar Huawei phones, we don't expect the difference in RAM to have a significant impact on performance. It's tough for even the most expensive of flagship phones to stand out right now. Which is why it's so impressive that a more affordable handset like the Honor 9 manages to sport such an eye-catching design. The phone takes the design of its predecessor, the Honor 8, and adds subtle refinements like a curved glass back panel, and cleaner joins between the metal and glass — no more plastic rim around the metal side walls. It also fits more comfortably in the hand than last year's model, and despite its curved frame, it's not especially slippery in the hand. In fact, I've found it sits more securely in my hand than the Honor 8, while also being more ergonomic. The brushed aluminum trim complements the color of the curved glass, with chamfered edges that help with grip. And the outer frame also houses all your ports and buttons — headphone jack and USB-C down below, power and volume on the right edge, and SIM tray up top; the Honor 9 has a primary SIM slot, plus a hybrid slot that can be used for either a second SIM or a microSD card. Forget the price for a moment — the Honor 9 is one of the best-looking Android phones, period. Both sides of the phone are glad in Corning Gorilla Glass 3, and the back is adorned with a beautiful reflective pattern (created out of 15 layers of glass, Honor says), that alternates between white, deep blue and purple depending on the angle at which it's held. The only downside? One of my least favorite features of the Honor 8, its ability to hockey-puck its way across flat surfaces, is also back. So you'll want to be careful to prop it up when it's lying flat, or use the bundled clear case. With a 5.15-inch screen diagonal, the Honor 9 actually slightly smaller than last year's model, and definitely one of the more compact flagship phones available right now. Elsewhere in the Android world, 5.5 inches is increasingly seen as the standard screen size, so if you're after something more friendly to one-handed use, the Honor 9 has you covered. The panel itself is a 1080p IPS LCD, which holds its own against rivals at this price point. It's not as bright as the HTC U11's SuperLCD5, but it does compare favorably with the OnePlus 5's Optic AMOLED. Colors are consistently vibrant, if a little on the cool side — fortunately, color temperature can be adjusted through the Display Settings menu. The main functional change from earlier Honor phones is the removal of software keys — these are gone from the software, instead replaced by OnePlus-style swappable capacitive keys for "back" and "recent apps," either side of the fingerprint scanner, which is also your home key. I'm not particularly missing the soft keys of old, though the decision to not include them as an option is a little bizarre. What's more, the home key seems to suffer from the same sensitivity issues as the Mate 9 Porsche Design (aka Mate 9 Pro) on earlier firmware — the sensitivity is just a bit low for my liking. P10-class internals provide ample horsepower. The new button layout means the programmable convenience key and notification shade shortcuts from the Honor 8 are also gone. (RIP.) That's not a huge deal for me personally, for others it may be a deal-breaker. On the inside, the internals of the Honor 9 closely match the hardware of the Huawei P10, which we reviewed back in March. Huawei's own Kirin 960 CPU provides more than enough power for a smooth Android experience, backed up by 4GB of RAM in the UK and 6GB in select European countries. (I've been using the 6GB model, as noted in the intro.) There's also an ample 64GB of storage onboard — enough breathing space for most people to not worry about offloading photos and music to an SD card. And rounding off the spec sheet, a relatively large 3,200mAh battery with 9V/2A quick charging. The Kirin 960 — however much RAM is backing it up — is a proven chip, having powered speedy handsets like the Huawei Mate 9, P10 and Honor 8 Pro. It's an octa-core chip with four ARM Cortex-A73 cores for high-performance duties, paired with four efficient Cortex-A53 cores for lighter tasks. And for demanding graphical apps and games, ARM's Mali-G71 GPU, with support for the Vulkan graphics API, ensures there's plenty of power to go around. Benchmark performance will undoubtedly vary, but games like Asphalt 8 and Need for Speed: Most Wanted performed just as well on the Honor 9 as on pricier flagships like the Galaxy S8. The Honor 9's dual camera setup is another point of interest. You're basically looking at the Huawei P10's dual-camera array, only without the Leica image tuning (and branding), and without OIS (optical image stabilization.) As we'll discover later in this review, that translates into the camera performing about as well as the P10 in daylight, but with performance quickly degrading in low light. Both Huawei and its Honor sub-brand share a common software platform, EMUI. In years past, EMUI's various quirks have been a point of contention for many users in the West. Sometimes apps wouldn't quite work right, or notifications would be broken, or the software would be way too aggressive about killing background tasks, often with annoying consequences. But Huawei's software suite has been improving significantly over the past year. And although the latest EMUI 5.1, based on Android 7.0 Nougat, is still highly differentiated compared to what Samsung, HTC and Google offer, it's better looking and more usable than ever right now. Little has changed since we last experienced EMUI on the Honor 8 Pro — the software is basically identical, only scaled down onto a smaller display. The core of Huawei's software had a minimalist aesthetic, with a clean blue and white color scheme. Other areas, such as the launcher and app icons, are infinitely customizable thanks to the many skins in Huawei's Themes app. While many iOS influences remain in parts of EMUI, particularly in the home screen launcher, the latest version feels much more like Android than previous versions. Notifications — aside from their rounded corners and some color changes — work more or less the same way they do in stock Android. And the recent apps are shown in the standard "Rolodex" layout. EMUI 5.1 is better than you (probably) think it is. Huawei has also brought AI to bear on its software, with intelligent features designed to learn your usage patterns and cache apps in the background accordingly. For example, if you always load Instagram after taking a photo in the camera app, EMUI should pick up on this behavior and start pre-caching Instagram before you need it. Less-used apps can also be compressed in memory, saving space for more frequently accessed apps. That's the theory, anyway. There's no way to really see this stuff at work, and I couldn't really judge how much these features are contributing to the overall performance of the phone. Nevertheless, as I said, it's fast. 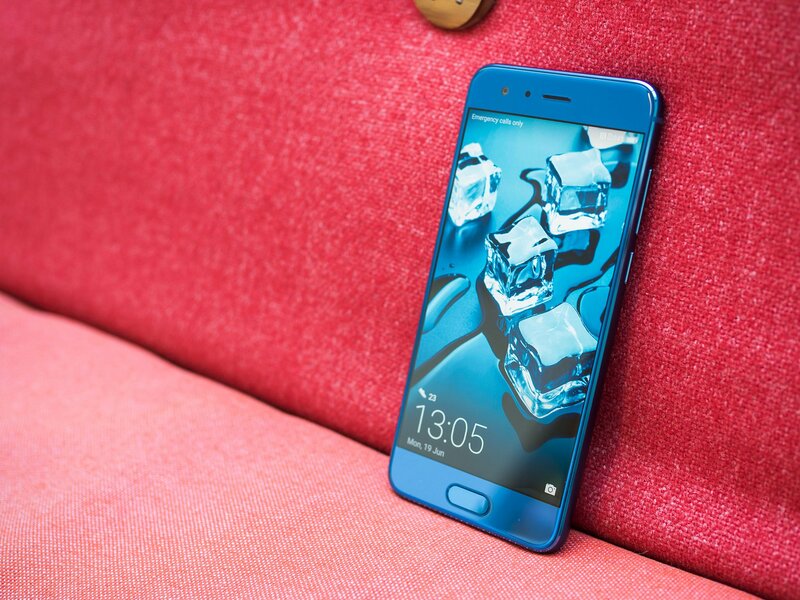 EMUI's expansive feature set has also made it across to the Honor 9, with a useful one-handed mode, deep notification management, and a handy Twin App function that lets you use multiple WhatsApp, WeChat or Facebook accounts on a single device. And a partnership with GoPro has yielded automatic album sorting and video highlights — a neat feature, but hardly something unique in the world of smartphone photography. Honor doubles down on sound quality and audio tuning, with partnerships aplenty. Finally, audio is another major focus for the Honor 9 — it's the first phone to feature Huawei's HiSten 3D audio system, and its internal speaker is tuned by Grammy-winning engineer Rainer Maillard. The built-in bottom-firing speaker sounds decent, if a little tinny at higher volume levels. I guess what I'm saying is it sounds like a smartphone speaker — I wouldn't have necessarily known there was any special tuning going on there, but it's a respectable speaker for a mobile device. I was more impressed with music playback through the headphone jack, where the software tuning — this time done in partnership with Monster — managed to recreate bassy, voluminous sound while retaining plenty of clarity. Overall, it still feels like EMUI 5.1 has some growing to do, and it'll be interesting to see what EMUI 6 (and presumably Android 8.0) bring to future Huawei and Honor devices. For what it's worth, Honor has promised an upgrade to the new version of Android, but there's no timetable for that at present. I'll say this upfront: The Honor 9's camera situation is a bit of a mixed bag. The software and image processing is pretty good, and dynamic range is typically great, as I've come to expect from Huawei's cameras. But to perform well in low light, a phone camera needs large pixels, a bright aperture or OIS, and the Honor 9 has none of these things. In hardware terms, you're dealing with two sensors — a 12-megapixel RGB sensor with 1.25-micron pixels behind an f/2.2 aperture, and a 20-megapixel monochrome sensor, used for capturing fine detail, with 1.1-micron pixels, also behind a f/2.2 lens. As we've already noted, there's no OIS to be found in either camera. Curiously, the front-facing camera — an 8-megapixel unit behind a brighter f/2.0 lens — seemed to outperform the main pair of cameras, with quick captures and a decent amount of detail, even in precarious indoor lighting. The Honor 9 brings some fun camera features to the table, but low-light results are mixed at best. Bottom line: If you pick up an Honor 9, be prepared for mixed results in low-light. Outside of unfortunately rough night photography, the Honor 9 performed admirably in daytime conditions, producing sharp images with ample color detail and excellent dynamic range even in very challenging backlit conditions. Photos appeared somewhat desaturated compared to the likes of the Galaxy S8 and OnePlus 5, but still sharp and pleasing to the eyes. Although the Honor 9's camera isn't Leica-branded, many of the shooting modes from Huawei's premium-tier phones have made it across. The always impressive low-depth-of-field mode allows you to artistically blur the background of shots for an impressive bokeh effect — and unlike the equivalent mode on many rival phones, it actually works. And there's a new portrait feature, basically copied over from the P10, it seems, which zooms in slightly and introduces similar bokeh effects in an attempt to recreate the iPhone's portrait mode. As is often the case when manufacturers try to straight up copy Apple's features, results are mixed — it's possible to get some really great-looking portrait, but you'll also capture some duds while you're at it. Speaking of zoom, the combination of 12+20MP sensors allows the Honor 9 to have a decent go at lossless zoom — at least up to 2X. This feature is no substitute for true optical zoom like the iPhone's, or even OnePlus's telephoto offering, but it is noticeably superior to most phones digital zoom capabilities. So the Honor 9 isn't a flawless smartphone camera, its main area of weakness being low light. But if you can get past that, you'll find some fun features to play around with. With a 3,200mAh cell powering efficient internals and a relatively small display, it was no surprise to see the Honor 9 comfortably getting through a full day on a single charge. On lighter days, the phone routinely got me through a full day of use with more than 50 percent charge remaining. A relatively small display plus a relatively large battery team up for enviable longevity. When I was able to deplete the Honor 9's battery before bedtime, it was only with much heavier use. Over the course of a full, busy day with 14 hours off the charger and plenty of media streaming over Wi-Fi and LTE, I was able to eke out between 4.5 and 5 hours of screen-on time. Finally, while it's disappointing to see the Honor 9 missing out on Huawei's SuperCharge tech — which rivals OnePlus's Dash Charge in terms of speed — I really didn't find myself missing the extra charging speed on a regular basis. For a phone of this class and battery capacity, the bundled 9V/2A quick charger — basically equivalent to Qualcomm Quick Charge 2 — was more than sufficient for speedy refills to the 50 percent mark, and slightly less speedy top-ups to full. Should you buy the Honor 9? Yes! Priced comfortably below £400, the Honor 9 is almost a no-brainer. After just over a week with the phone, there are only a couple of things about the Honor 9 that give me pause: Firstly, the camera just isn't that great, particularly in darker conditions — that's just weird given how prominently low-light photography features in the marketing for this phone. The Honor 9 is a hell of a phone for the money. 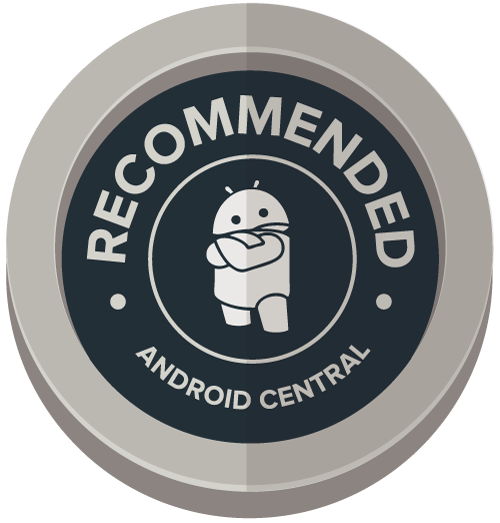 Second, although EMUI 5.1 is an oasis of usability compared to the mess of earlier versions, many buyers — myself included — will prefer something closer to vanilla Android. (Or at the very least, something less aggressively customized.) I can live with EMUI, and it doesn't bug me as much as it did a year ago. But I'm a long way off being in love with Huawei's software. 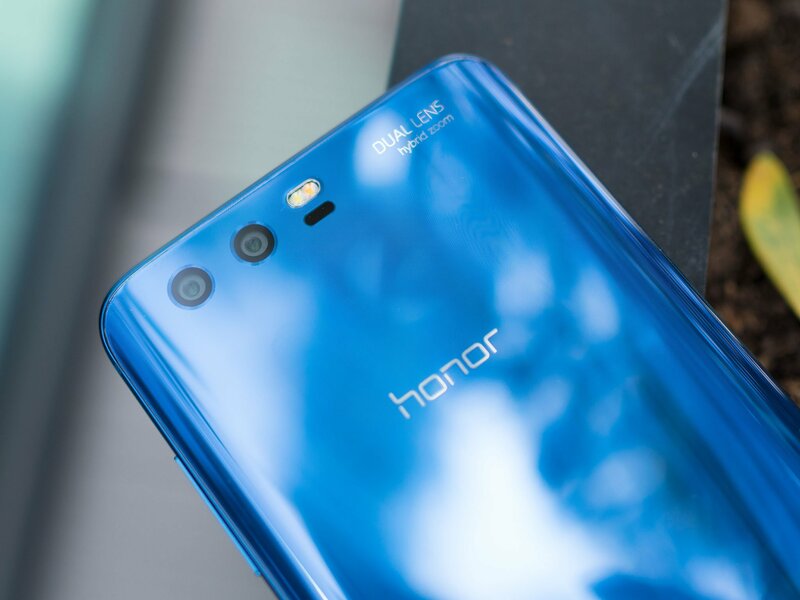 As for the rest of the experience, Honor has done a fantastic job bringing premium build quality and performance into a highly affordable compact handset. The Honor 9 is speedy, beautiful and long-lasting, and worthy of your consideration if you want a capable smartphone that won't break the bank.